AT&T is bringing its 5G mobile internet service to a selection of 12 U.S. cities this week – is yours on the list? AT&T announced yesterday that it's officially launched its first mobile 5G service in 12 U.S. cities. Currently, 5G connectivity via AT&T is available in Atlanta, Georgia; Charlotte, North Carolina; Houston, Texas; Dallas, Texas; Indianapolis, Indiana; Jacksonville, Florida; Louisville, Kentucky; Oklahoma City, Oklahoma; New Orleans, Louisiana; Raleigh, North Carolina; San Antonio, Texas; and Waco, Texas. I'm actually shocked that they chose my city to launch with, but I don't use AT&T, so I suppose it doesn't really matter. Unfortunately, the service itself won't be available to use until AT&T's 5G device launches on Friday. 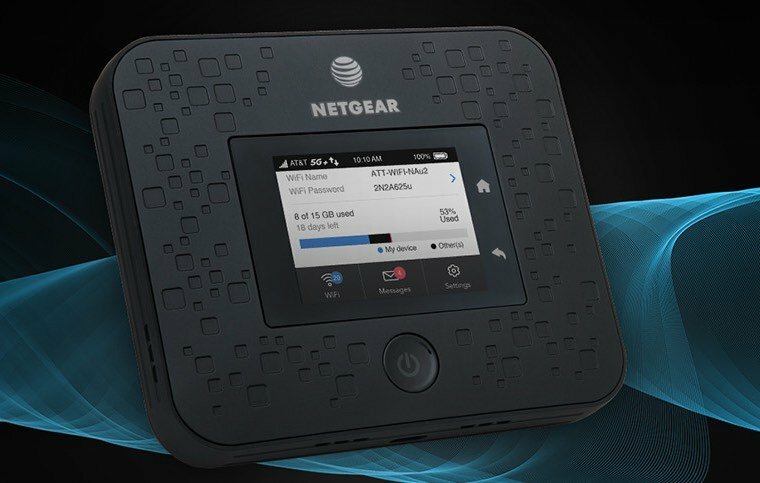 In the areas listed above, if you sign up as an early adopter, you can use the new 5G service paired with a Netgear Nighthawk 5G Mobile Hotspot. AT&T offers these speeds using mmWave spectrum, which is a faster way to offer connectivity than LTE, which you're likely already using if you have a smartphone and a data connection. This launch is a small part of AT&T's overall plans to launch as a limited connectivity option in dense urban areas where mmWave works the best it can. According to the service provider, customers will see enhancements in their coverage, speeds, and devices as times by. In fact, in the first half of 2019, AT&T will be expanding further to bring the mobile 5G coverage to other cities, including Nashville, Las Vegas, Orlando, San Diego, San Francisco, and San Jose. The Nighthawk Mobile 5G Hotspot and 5GB of data will be up for grabs for "select business and consumers" at no cost for at least 90 days. In the spring, customers can pick up the device for $499 and 15GB of data for $70 a month. The first compatible Android smartphones that can actually utilize 5G networks are hitting in 2019, but for Apple users, it may be until at least 2020.